Today, European Monetary Union ZEW Survey Economic Sentiment (Mar) verified at -2.5, unrevised from the expectations for -18.7 (Previous: -16.6). On the other side, US Factory Orders increased to 0.3% from 0.1% in the previous month. Reviewing the daily technical aspect, EURUSD is in long-term bearish momentum since the beginning of the year. 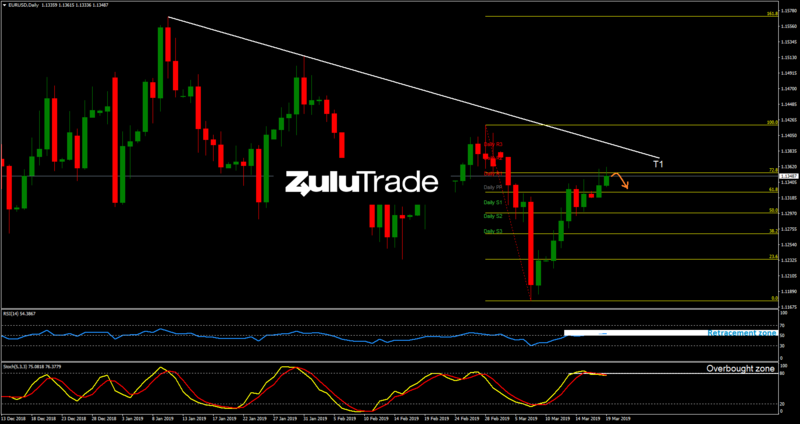 Currently, the pair is testing the 72.8% Fibonacci resistance level, which comes in confluence with the Daily (R1). Going to more technicals, RSI is moving within the 50 to 60 zone, which is supposed to act as a retracement zone during a downtrend, while Stochastics is breaking out of the overbought zone. 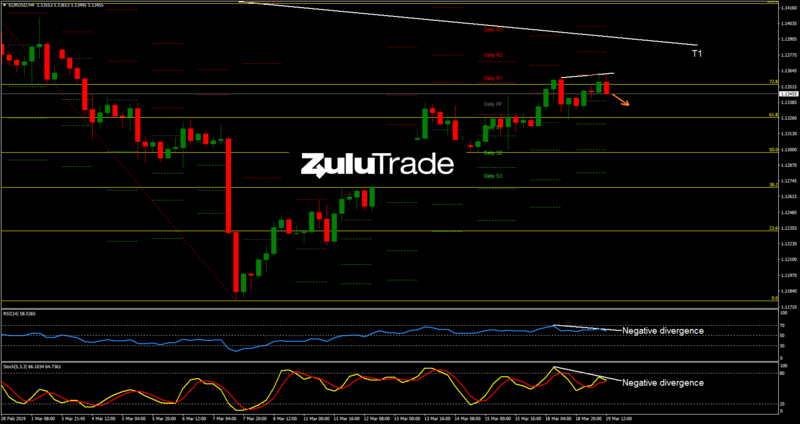 Heading to the H4 timeframe, both RSI and Stochastics are currently forming bearish divergences. Overall, the setup indicates a potential reversal towards 61.8% Fibonacci level, offering a potential bearish opportunity to the market. On the other hand, if price breaks out above the 72.8% Fibonacci level, then Buyers may push the pair towards the trendline (T1).